​This should be a structured mess! Most examples we have seen at schools have been stacked pallets crammed full of various types of habitat such as stones, bark, wood, bamboo, cardboard and grass. The different types of materials create different habitats for various bugs. The Ulster Wildlife Trust have put together a great information sheet here on how to build one of these houses. As with most of the actions we recommend, this project should come with an interpretative sign for any visitors to the school. Also, we would stress that bug houses should be one of many bug-attracting activities you undertake and it isn't really enough as a stand-alone activity. 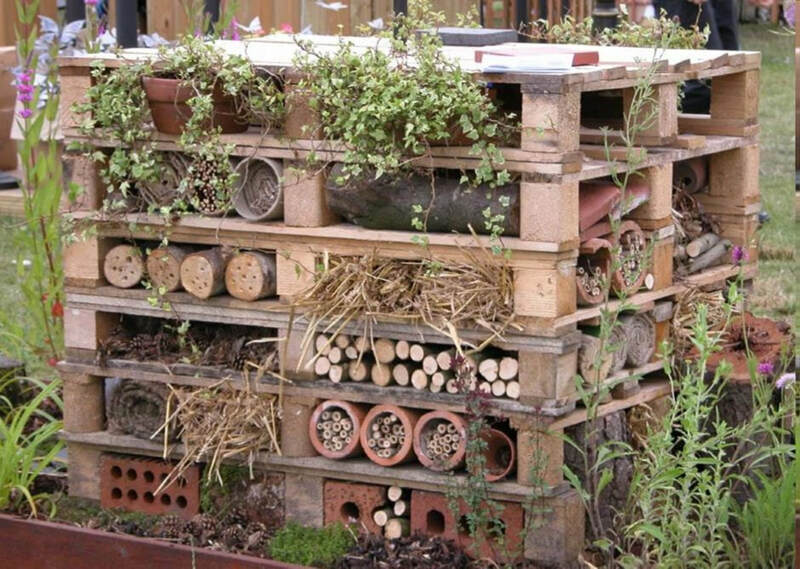 For example, try using the bug hotel to complement actions in the wildflower section here.